focusing your attention on those things that matter most to you, your family, or your company. encouraging you to reduce the misalignment between the day-to-day and what matters most to you in the long term. "Realize what you really want. It stops you from chasing butterflies and puts you to work digging gold." The modern world of work can often mean that we are juggling 10 different things and that our attention is grabbed by who shouts loudest, most often, or has the tightest deadline. This can mean that the vital few are at the mercy of the trivial many! You don't want to spend your day, your week, or your life, climbing the ladder only to get to the top and realize that it is leaning against the wrong building. In other words you want to ensure you are heading in the right direction before you put your head down. Effective time management encourages you to align your life with your priorities to ensure that you are spending your time on what is most important to you. The surest way to do this is to have a long-term vision that is aligned with your values. 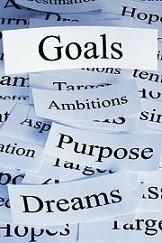 Then to set goals and actions to achieve these goals which are aligned to what matters most to you. Or to put more formally, have an annual plan that filters into your quarterly check-ins, and your weekly planning. By developing an annual plan of the things that you want to achieve you are making a declaration of your intentions for the next 12 months. Download several of these time management worksheets (PDF file). Use one worksheet for each yearly goal. What do you want to achieve...what type of person do you want to be? Personal goal setting creates the bridge between today's vision and tomorrow's reality. For each worksheet you clarify your value, the goal that is aligned with this value, and the five actions to support this goal. To set clear goals the best way is to use SMART goals. These are goals that are specific, measurable, achievable, realistic, and time-bound. Just as a business checks-in on a quarterly basis, so should you! But rather than doing a quarterly business review, check-in on how you are progressing towards your goals. Ask yourself how much time you need to devote over the next quarter to move your goals forward? What would success look like in the next quarter? Now that you have written your goals and actions that support your annual goals it is now important to set quarterly goals. These quarterly targets are some of those actions that support your annual planning goals. Download this time management exercise to set quarterly targets (PDF file). Like the annual planning here you are bring your SMART goals down to the quarterly level.Try to be specific about what your time commitments are to achieve these quarterly targets. What is holding you back? Ask yourself how you can aid yourself in moving forward? 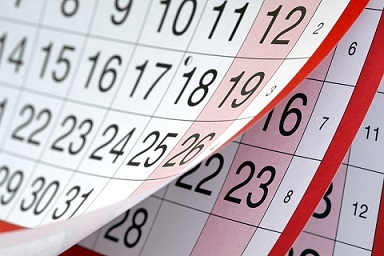 Why is the quarterly check-in important? The quarterly check-in is important as you are getting feedback on how you are traveling, and reviewing what is working and what is not working. My clients find that the quarterly check-in, done once every 3 months, takes 20-30 minutes and is a very useful tool. The first two time management exercises take the big picture view by conducting an annual planning session in which you make a declaration of your intentions for the next 12 months. This is then reviewed and your goals are tracked on a quarterly basis with the quarterly check-in. The single act of protecting your big rocks in this time management article could dramatically increase your productivity on those key projects that matter most to you. But to ensure that you are building habits of effective time management you need to create the link between quarterly check-in and weekly planning. By planning what is important and scheduling the hours into your weekly planner you are ensuring that you are getting traction on your most important projects. To make your weekly planner successful for you please look at these notes on developing a time management schedule that enables you to close the loop on this plan, act, and review process. fill out this time management survey to receive your personal time management report. If you liked these time management exercises then you are likely to like these time management activities.